50 year-old Ian lost his teeth in his early twenties and had been told by another implant dentist that fixed bridgework would be impossible. 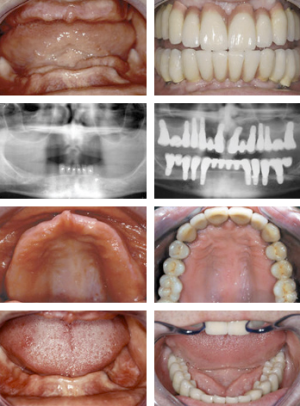 However, with our expertise Ian was successfully restored with implants and now has a complete set of permanent fixed teeth. Having worn full dentures for over 25 years, Ian’s quality of life is transformed and he now has a lasting smile and chewing comfort that he could not have dreamed possible. 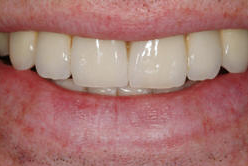 For further treatment information see Dental Implants.